Supacat, which is a member of the Rheinmetall Land 400 team, welcomes the announcement of the selection of the Boxer CRV and Rheinmetall as the preferred tenderer for Phase 2 of the LAND 400 program. Supacat believes that Defence has chosen the outstanding capability to serve the Australian Army. Supacat was established in Australia in January 2012 and since that time has built a considerable capability focused on Land Systems in the region. In addition to delivering its own products and services within Australia, the region and globally, Supacat has been proud of its participation with the Rheinmetall LAND 400 team since the early part of the bidding process through to playing a key role in the RMA phase of the program. 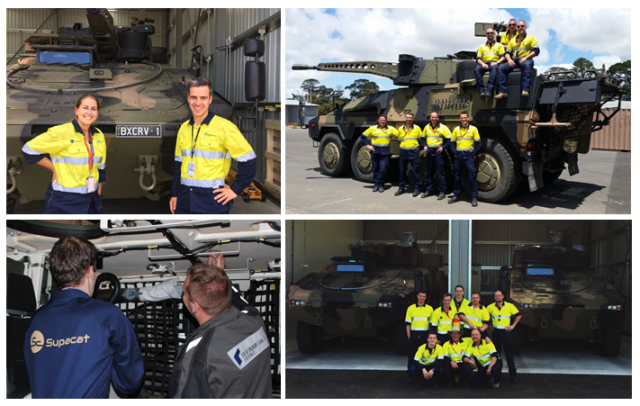 Supacat has significant recent expertise in developing industrial capability in Australia through delivering development, production and support programs in partnership with Australian SME’s under the Supacat Team Australia banner.